Golf is one of the oldest sports out there, yet a ton of people have a hard time with it because of the steep learning curve but why should you begin playing golf? However, you can’t just pick up a set of clubs, head out on the course and shoot ‘Par’ on the day. But there are some important upsides to the practice of golf. So, for all of you out there who are looking into doing something different this summer, golf might just be the solution for you. One of the major perks of golfing is enjoying the scenery and the sun beaming down on the luscious grass. This winter was rough on everyone and there is no better way to fully take in the gorgeous weather than going out there. Even on a bad day on the fairways, you can rejoice in the fact that you are breathing in some fresh air while taking in the best that mother nature has to offer. You can opt for the fast cart ride to make your round a short and sweet one. But you can also go the healthy way and march the length of the course to admire your surroundings. But there are more than visual benefits to walking the course. You also get a great deal of physical activity when you choose to go cartless for your 18 holes. 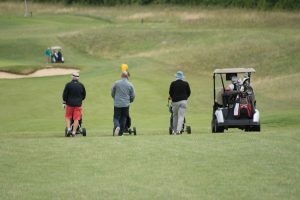 The average golfer will walk a total of 6 miles (9.6 kilometres!!) when they decide to leave the cart at the clubhouse. But for our cart friends, do not despair, you can also get a good workout from using your explosive hip movement when striking the ball. An 18-hole round will take 4-5 hours, but it will also become a great way to get some decent active time for your body and your mind. When you begin playing golf, one of the greatest perks of golf is that it can be played by everyone. 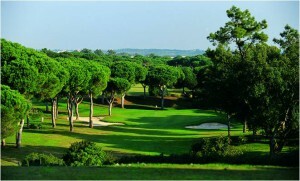 Golfers of all ages are welcome to most golf clubs allowing for a superb family activity on weekends. Most of all getting started early is the key to becoming successful in golf. Starting early with the family will ensure a prosperous development through the years. Best of all, you can find some pre-owned golf clubs in order to set up everyone’s equipment for a reasonable budget. Talking about golf equipment, one of the greatest perks of golf is to use the newest and keep up to date with the most revolutionary technologies. Technologies like adjustment weights twist face and the speed injected face have all revolutionized the sport in the last few years. These innovations were created with the idea of helping golfers get into the game and make better contact on the ball. It is the perfect time for you to get into the sport and take advantage of the best clubs in the world. One of the most underrated advantages of golf is the conservation of the mind and the body. Most physical team sports will expose the body to head trauma and possible severe physical injuries. But golf will almost entirely shelter you from those dangers. Of course, injuries are not entirely avoidable. But if you make sure to stretch out properly, as you should always do before going out on the field, you will most likely never experience any pain from the sport. 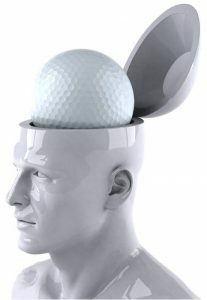 As for head trauma, simply make sure to look out while you are on the course and open your ears to the “FORE!” calls of other golfers. Finally, the only real enemy you’ll have on the course will be the sun. Make sure to apply a good amount of sunscreen before heading out for the weekly round. Hopefully, this has convinced you to pick up the great sport that is golf. It is the ultimate sport for the summer as you get to enjoy the beautiful weather. You can also keep the legs fresh while walking around on the course. Moreover, it is a great opportunity to bring the whole family together for an afternoon activity. Finally, you get to benefit from the best engineering in the world while having the peace of mind that you are not slowly grinding your health away. 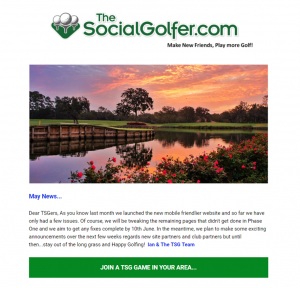 Welcome to The Social Golfer Monthly Newsletters page, plus catch up on the latest developments on the website, or look back at TSG history. 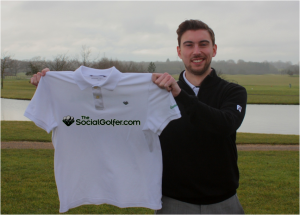 Have you signed up to The Social Golfer Monthly Newsletters? Rest assured, this is not a vehicle for us to send you unsolicited promotional offers like some sites but a great coffee time update on all site goings on and the winner of TSG monthly leaderboard, along with tips and advice from our own PGA Pro contributors! Ps. Got a story you’d like us to feature? Fancy having a go at writing something yourself? We’re always keen to hear from TSG members. As we approach the new season, we start with the year discussing the ‘Psychology of Golf’ and how to prepare yourself mentally for the season ahead. I’m not going to give a lesson in ‘winning‘ or ‘how to get in the zone‘ here (although if you would like to improve that side of your game, I can help!). Here I am going to give you some ideas about playing smart – i.e. course management. Golf being the frustrating, euphoric, and mind boggling game it is, (and that’s just one hole!) you will find yourself in many different situations. Too many to cover in this blog, but I will cover some common scenarios you may find yourself in. This can be your friend or your foe, all depending on your lie. If the ball is sitting up and the grass around you isn’t too long, you may want to hit a wood or hybrid and get the ball as far up the hole as possible, as it is effectively sitting on a tee. This assumes you are far enough away from the green that you need a fairway wood. If the grass is really thick and/or long (think, The Open) and you have a bad lie, your first point of call is to look for the fairway and the shortest possible route to the fairway. Sometimes this may be backwards or even onto another fairway, an option I see few amateurs use. In terms of club selection, get some loft in your hands; use a sand wedge or pitching wedge. If your lie is average you need to assess how much thick rough you can go over and get up the hole and still get the ball on the fairway – but DO NOT bite off more than you can chew. Your goal here is to make sure your next shot, IS from the short grass! Anytime you go in the trees, look up, you may find an apple to eat. You may also see a gap in the trees to hit through! 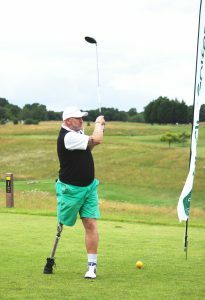 It is time to assess your situation, can you punt the ball up the fairway (or even reach the green)? And if so, how big is the gap? You need to be very honest with yourself in this situation, can you see yourself being able to hit the ball through the gap? If there is any hesitation in your answer or a hint of a no, it is onto option 2. Option 2, is chip the ball out sideways, it is rare you cannot find a big enough gap you feel confident chipping the ball through and back onto the fairway, but there are times there isn’t. You need to look at maybe hitting onto another fairway or going slightly backwards. Club selection in the trees is important, more than likely you want to keep the ball low under the branches (including chipping out). So make sure you take a longer, lower lofted club to make sure your ball flies out the trees untouched. Course designers like to play with our emotions and see our high soaring drives take a dodgy bounce and end in a bunker. If this happens to you, make sure you get the ball back in the fairway. As with all these shots, it is about ensuring you do not have the same shot again. So get your sand wedge out and play it like a greenside bunker shot so you are back on the fairway, ready to hit the green. So there you have it, thinking about the game or the ‘Psychology of Golf’ before you start the season – the mental part of the game is just as important as your swing! By Andy Clissold – Head TSG Pro. It’s a balmy Saturday in Summer and you are about to play in your first TSG official event. How are you feeling on the first tee? Are you suffering from first tee nerves? Just want to get it away? Make sure you don’t top it? If any of these thoughts sound familiar then lets get you feeling more comfortable on the first tee. The first thing to realise is everyone feels it! If you ever get the chance to read an interview with a tour player, they will tell you they too get first tee nerves. The difference is they are trained on how to hold those nerves. What we are going to talk about in this blog is a really good visualisation technique to improve your confidence. It is something you can do at home, five minutes a day that will transform the way you think about your golf. Firstly you need to get yourself relaxed, so have a few deep breaths and close your eyes. It is important to build the picture first and uses ALL your senses; imagine the first tee, you’re walking up to the first tee, feel your legs moving, the weight of your bag, you can see your mates, hear the crunch of the gravel, smell the freshly cut grass, taste the coffee on your tongue as you take a sip. Now you’re on the tee, as above, hear, see, feel, smell, taste everything, from you putting your bag down, getting a ball out your bag, teeing it up. From this point, I’d like you to imagine yourself feeling confident, standing tall! Go through your routine and picture a pure, high drive down the middle. (Be realistic with this, there is no point imagining a shot you can’t hit!). Feel yourself being confident as you stand to the ball and feel a really good swing, hear and feel the connection with the ball. Imagine seeing your shot flying into the middle of the fairway – your friends saying “shot”….no first tee nerves here! The more times you do this, you brain will think its real, believe it has actually happened! So when you come to do it for real, your brain believes you can hit a good shot, in fact, it won’t expect anything else. Give it time and be patient…. First time you try this you may find it is not overly effective, but visualisation is a skill that you need to work at. As I said, five minutes a day is all it will take and over a week or two the images will become more and more vivid and real. The more real the image, the better for helping improve your first tee nerves and building your confidence. 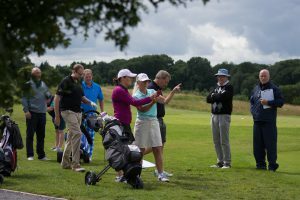 So FIVE minutes while you’re waiting for the bus, FIVE minutes a day not using Facebook – do some visualisation and start nailing those first tee shots!